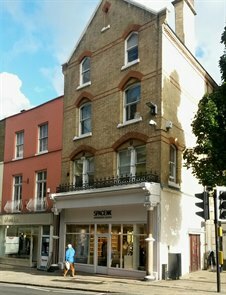 Cattaneo Commercial are pleased to announce the letting of 2nd Floor, 34 Hill Street, Richmond, Surrey TW9 1TW to Colyer Fergusson Charitable Trust who are relocating from a smaller office in Richmond. Comprising 640 sq ft of air cooled offices which are well located in the town centre and within close walking distance of Richmond Station (mainline and underground). If you are looking for new offices or considering a disposal, please contact either Andy Armiger or David Keates on 020 8546 2166.